We love to share knowledge and exchange ideas with customers. 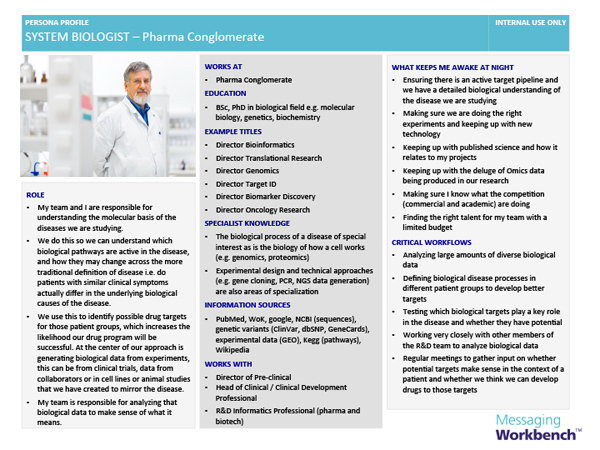 Please browse the links below and download the guides, tools and templates we’ve shared. But don’t forget to give us your feedback and let us know if you have ideas for other materials you’d like to see posted here! Where the market is headed, new approaches and latest technologies. 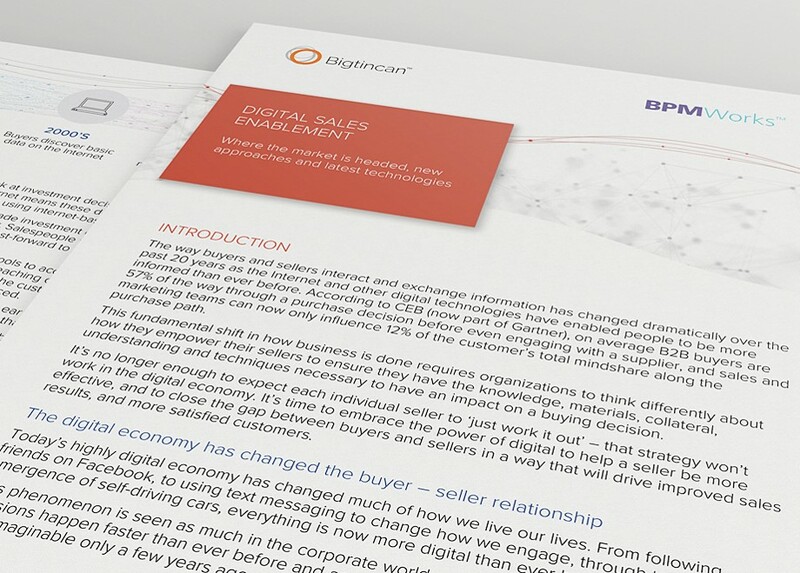 This white paper examines how digital technologies can be turned to the advantage of the sales person, by equipping them to have more compelling conversations with customers – resetting the buyer/seller balance of power in a world where so much information is available on the web. From accessing insights, messages and guidance on demand and preparing for meetings using tablets and smart phones, through to AI powered content recommendations, new approaches are emerging that will change the game and help sellers become more relevant in the new economy. What do sales people want from Personas? The B2C heritage of the ‘Persona’ movement means there’s a lot of focus on the creation of realistic profiles for fictitious people with a photo of a person (licensed from a photo library), their age, marital status, number of children, type of dog (only joking) and so on. The thinking is this will bring the persona to life. However, this kind of ‘what the person is like’ information generally doesn’t cut it with sales people selling to large organizations. 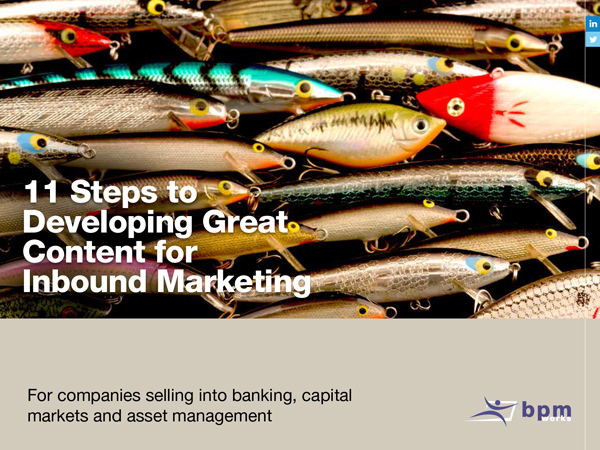 A couple of years ago ‘Inbound’ was being hailed as the future – to reach new customers and generate leads. 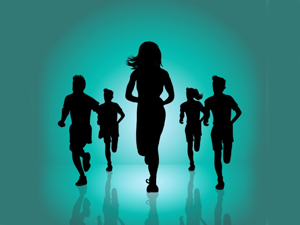 However, many Inbound programs have failed to deliver results that match the hype. So what are the secrets to Inbound success? At the start of the year, the Intellectual Property and Science (IP&S) business of Thomson Reuters introduced a new, holistic way to think about customers and their business activities – The Lifecycle of Innovation. The next step was to embed the Lifecycle of Innovation in the way product managers, marketing and sales people think about customers and get them to start learning about the different and new ‘Personas’ they need to address across this Lifecycle. 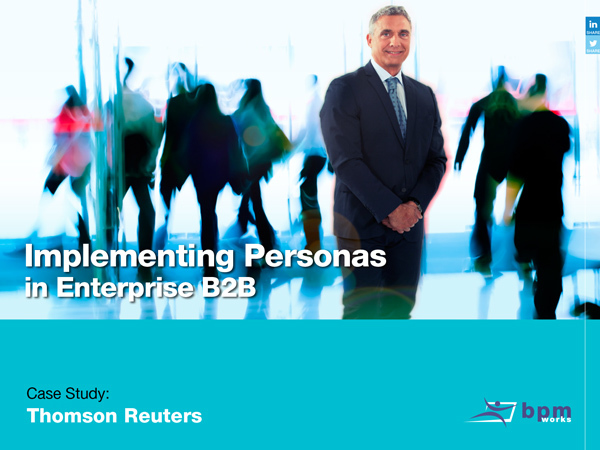 How do Personas help sales people selling into Capital Markets? 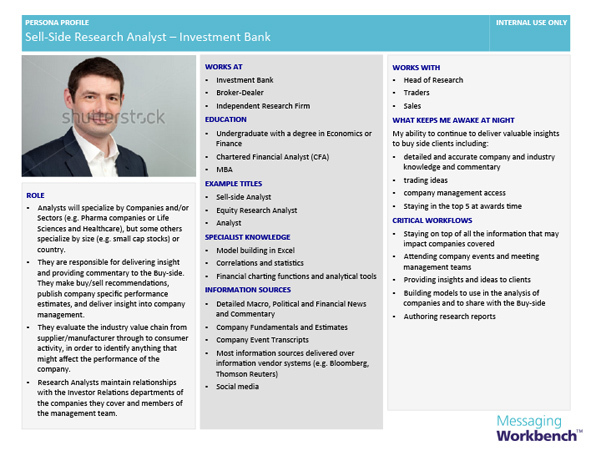 Hedge Fund Managers, Junior Bankers, Sell-side Research Analysts all have one thing in common – a very low tolerance for conversations that don’t add value. In Capital Markets, sales people need to arrive at meetings equipped with insights into the latest trends and drivers in their customers’ markets along with ideas on how to solve the business challenges and opportunities they may face. 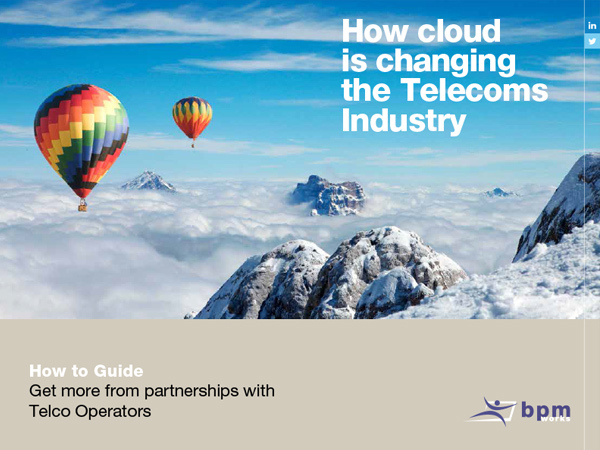 The growth of Cloud services in the Telecoms sector presents both huge opportunity and significant danger to companies offering software and other services via the Cloud. What initiatives can open growth, reduce long sales cycles and accelerate your business? Find inspiration for your 2017 business plans.